Some years back, through Business Information Point I was lucky enough to be offered a funded opportunity to join a group of advisors, accountants, solicitors and land agents, to attend a three day masterclass on family succession planning in Lucerne. Although the experience was extremely full-on and stimulating, I personally felt that three days only explored the tip of the iceberg as there are so many complex issues to address. It required considerable skills from a facilitator to enable families to identify the most appropriate solutions for them – reaching an agreement as to how the business is handed over to the next generation can be fraught with emotive arguments. The seminar certainly provided me with plenty of food for thought, and so I was very lucky to get to know Christine Malseed who has spent significantly more time in developing her skills and qualifications over the years, to be able to support families through a process that can end years of stress and family conflict once and for all. 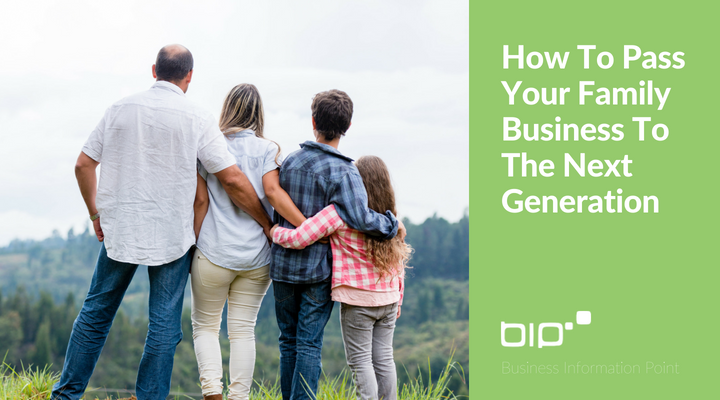 Only 30% of family run businesses survive into the second generation, falling to 12% for the third generation. And only 13% of family run businesses actually have a robust succession plan in place – (PWC Family Business Survey 2016). “Opening the lines of communication is the first step in the succession planning process. It is best to start the process sooner rather than later – an earlier start gives you more options and time to implement and refine the plan over time. As a farmer with a family business I know first-hand how stressful the challenges of succession can be. We have four children in their twenties and have started our own succession planning process! Succession planning should be a business decision, an intrinsic part of the overall planning for the long term future of the business and not treated as a separate issue; do remember it is a process and not an event”. I asked Christine, how does she support families who are looking for outside help? This is where I collate as much information and background as I can to fully understand the family and the business. I then facilitate meetings where all those affected by the succession are present in the room and that everyone has an opportunity to voice their interests and concerns. To ensure that the meetings run smoothly, I consciously create a respectful and safe environment which encourages open and honest communication. This helps produce reflective discussion to widen perspectives and explore the broader potential of the family business. The family are encouraged to involve their accountant, solicitor and bank to help to create a succession plan relevant to their own family and business needs. Help to generate your plan and clarify next steps. To be available for follow up support as needed. They can help with opening the lines of communication and ensure family meetings run smoothly and effectively. Helping to get people to talk openly – and the facilitator should be someone with business expertise. A facilitator will allow everyone to participate equally and without someone from the family having to take on that role. This creates a more open environment for communication and discussion. When deciding on who to use, ensure the facilitator is experienced and a qualified professional with professional indemnity insurance. One point that I have discussed with Christine is the common statement from families that ‘our family isn’t like others’. Almost as if there is a perception that other families are straight forward and able to communicate freely without fear of causing conflict. We tend to agree that the latter is the exception rather than the former! Every family and business is unique and so every succession planning process is different. One strap line Christine considered using in the early stages of her brand development was ‘open that can of worms’. I am sure Christine won’t mind me sharing with you that the reason she chose not to use this was because of the negative connotations. However, certain families will feel that this is indeed what they are doing, which causes the tentativeness to broach the conversation around the kitchen table. The statistics mentioned earlier underline the fact that brushing the matter under the carpet can only have a detrimental effect on a successful hand over to the next generation. In conclusion, the fundamental advice is to start the conversation now, to start the succession process to help ensure your business survives. Have you put a succession plan in place for your family business yet? 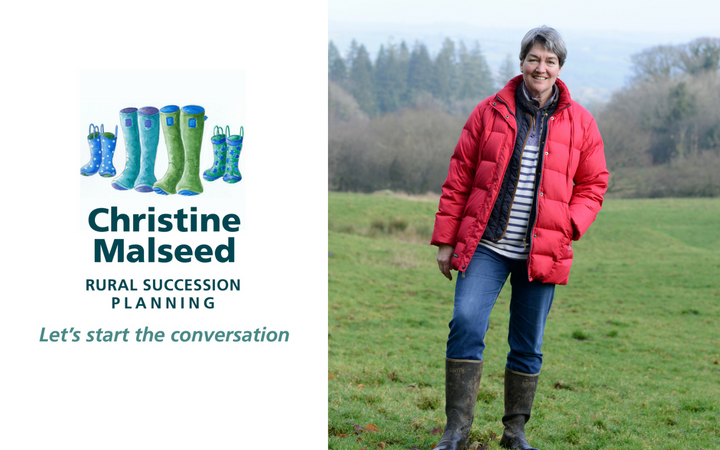 Christine, who kindly contributed her time and experience in writing this blog is an Accredited Facilitator and offers independent, confidential solutions to family succession planning. She has been involved in the agricultural industry for over 30 years and is also a director of Frenchbeer Farm on Dartmoor. 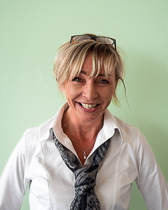 Petra Davies is an experienced business advisor and projects manager, previously working in hotel management.